The northwestern edge of Maui is admittedly one of the least accessible parts of the island. 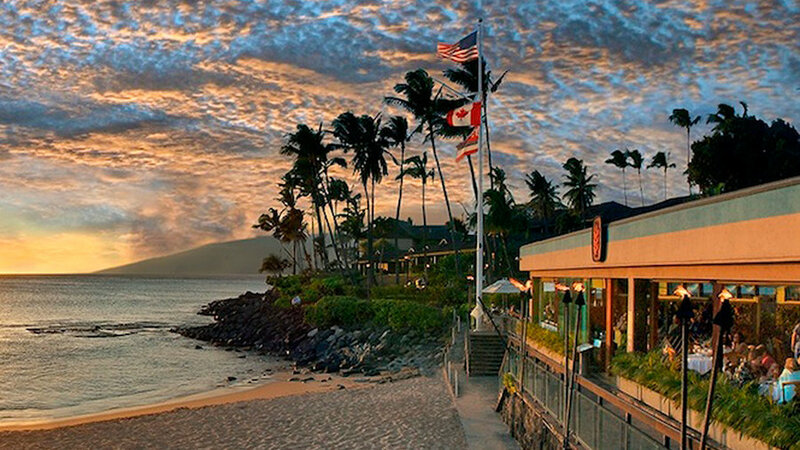 The plush hotels and condominiums of Kapalua are the closest gateway. The area has no developed parks; most land is private. The narrow ribbon of roughly paved road snaking around the northern tip of the island is its own destination. Kaukini Gallery Kahakuloa; (808) 244-3371. Maui Eco-Adventures Offers a variety of half- and full-day tours, including mountain biking, for all interests and abilities. Call ahead to design your own tours. INFO: From $80. (808) 661-7720. Honolua Store Locals stop here for heaping plate lunches and sandwiches; the store also serves breakfast. INFO: Food service 6–3 daily. 502 Office Rd., Kapalua; (808) 669-6128. I’O and Pacific’O This pair of upscale Lahaina restaurants sharing a beachfront location are projects of executive chef James McDonald. Pacific’O has more outside seating; I’O is more contemporary with a more experimental, Euro-Asian menu. INFO: 505 Front St. I’O: 5:30–10 daily; (808) 661-8422. Pacific’O: 11–4, 5:30–10 daily; (808) 667-4341. Sansei Seafood Restaurant & Sushi Bar The island’s best sushi and creative Japanese cuisine — don’t miss the mango crab rolls — is also a good value. INFO: 5:30–10 daily. In Shops at Kapalua complex in Kapalua; (808) 669-6286. Hawaii Condo Exchange The agency can help match your needs and budget to developments in the Napili Bay and Kahana areas. (800) 442-0404. The upscale resort complex of Kapalua lies at West Maui’s scenic far end; a good deal for families is one of the one- to three-bedroom golf course or waterfront condominiums at the Kapalua Villas (from $199; 500 Office Rd. ; 800/545-0018). Guests of the 548-room Ritz-Carlton Kapalua (from $340; 1 Ritz-Carlton Dr.; 800/262-8440) can use the fitness center and pool. Another option is the 194-room Kapalua Bay Hotel (from $380; 1 Bay Dr.; 800/367-8000.